Home»Valentines Day»White Paper / Plastic Goods»7" White Plastic Plates 100ct. 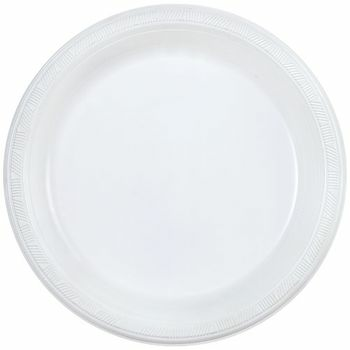 White Square 9" Paper Luncheon Plates 18ct. White Square 7" Paper Salad / Dessert Plates 18ct.